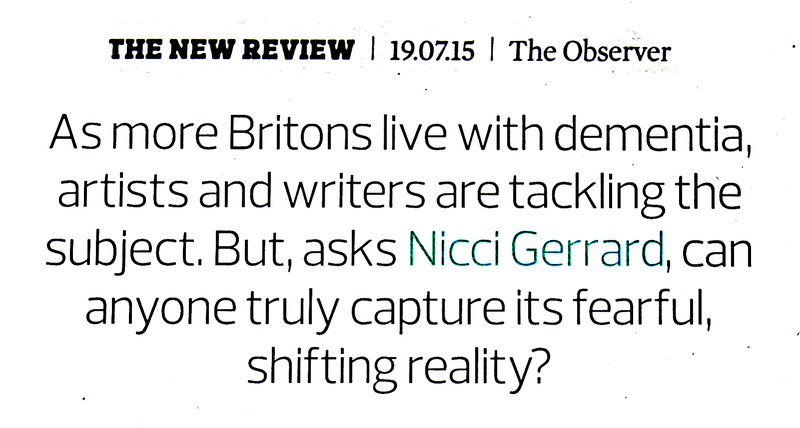 The following screenshots come from a Sunday Observer of the 19th August 2015. I have written before on Hole Ousia about how we use language. Whether we are scientists or artists, or indeed both, we should consider carefully how we use language. Metaphors of loss abound in this particularly distressing newspaper article. I am referring to judgmental language that we can all too easily use to describe the lives and experiences of others. 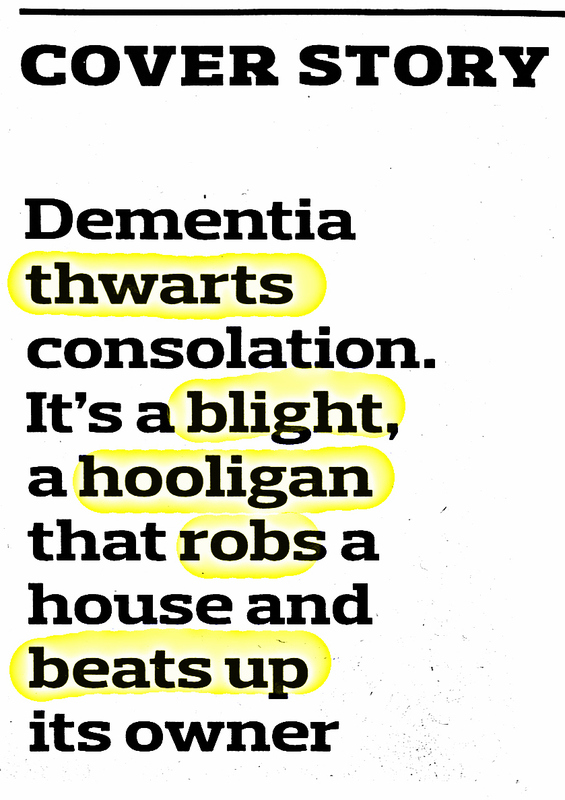 There is no sense in this article that one can live well with dementia or that agency and humanity are most often retained even in severe dementia. The title of this blog-post comes from the newspaper article. Like metaphors of loss, I am also not fond of the much-used “signpost” metaphor. But perhaps this “signpost” is correct: maybe it is the world, and not the individual with dementia, that has lost its way?